May was another busy month with travel – we spent the first week of the month with my in-laws in the seaside town of Fano, Italy, and then after a relatively quiet couple of weeks in London, we were packing our bags again for a few days in Granada, Spain. We stayed in the hillside neighborhood of El Albayzín, the old Moorish quarter of the city, and we loved exploring its winding, narrow streets and taking in the stunning views of Alhambra. Snapshots and a summary of our trip coming up in a separate post. Throughout May, and in fact even now as I write this in mid-June, we were mostly sick with what has either been back to back viruses or the same nagging cold that’s stuck around our house for weeks. I hoped cold and flu season would be well behind us by now, but since Little T started nursery a couple of months ago, we seem to always be coming down with something. While it was a fairly quiet month, we managed to visit a couple of new places as well as return to some old favorites. For more updates of what we’re up to, you can find us over on Instagram at @piccoloexplorer. 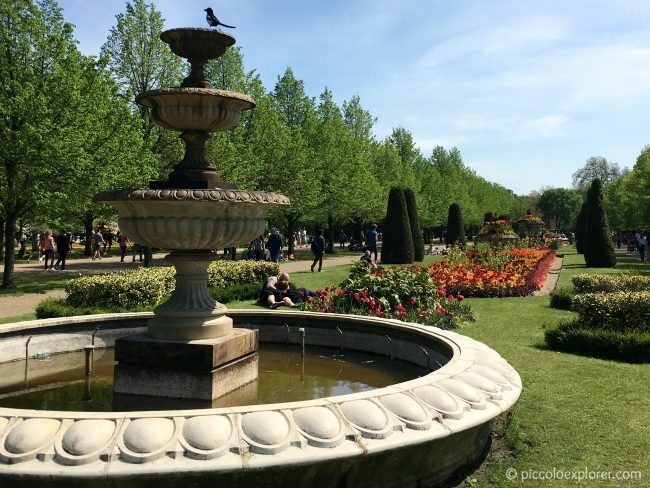 London was in the midst of a heatwave when we returned from Fano and we headed up to Regent’s Park to enjoy a gorgeous Sunday. 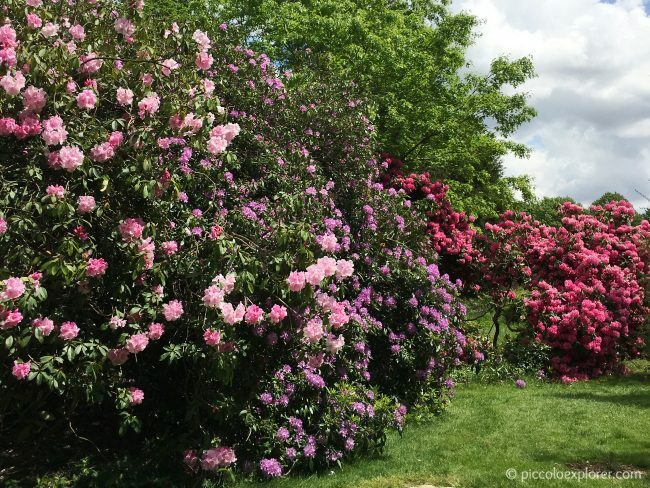 Although we’ve been to the area a few times to go to the London Zoo, we’ve never really wandered around the park and it’s such a beautiful place with stunning gardens like the one shown below. And sure enough, a few days later Little T and I were back in the area to spend a day at the zoo. 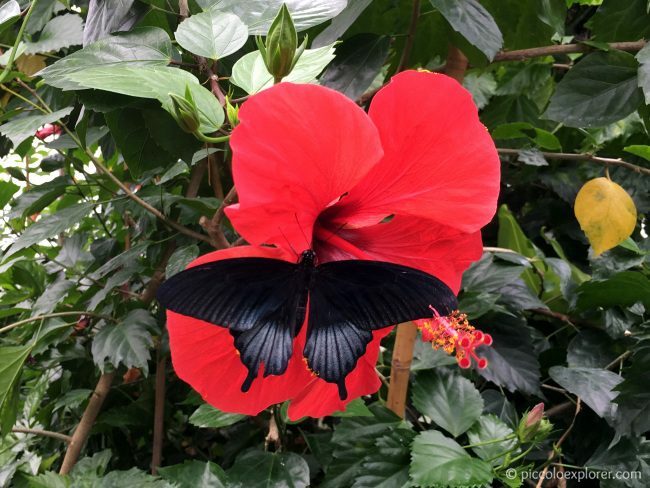 The weather was already making a turn for the worse, so we spent our visit checking out the indoor exhibits like Butterfly Paradise and headed out just in time to miss the torrential rain. I spotted this rapeseed field on our way back home from our day out at Birdworld and exited the freeway to take some pictures. Well, I exited the freeway, made a wrong turn at a roundabout and went the opposite direction, drove a long way down a narrow road until I could turn around and make it to where I could pull over to take some pictures. 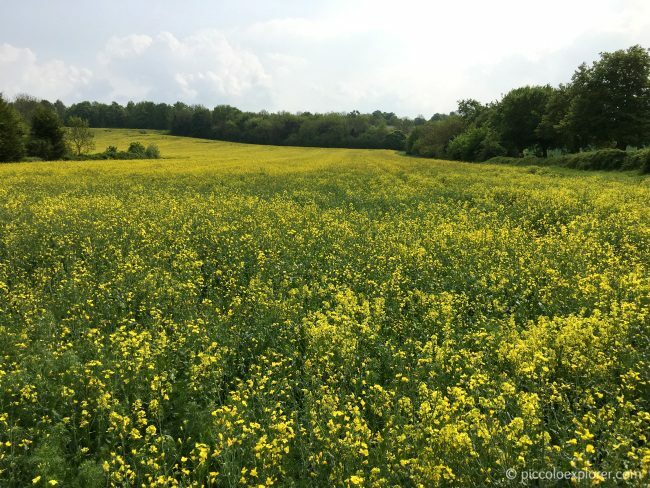 Little T was fast asleep for his afternoon nap so I wasn’t able to take photos of him in the field and just spent a few moments enjoying the view of the bright yellow flowers spread out as far as I could see. 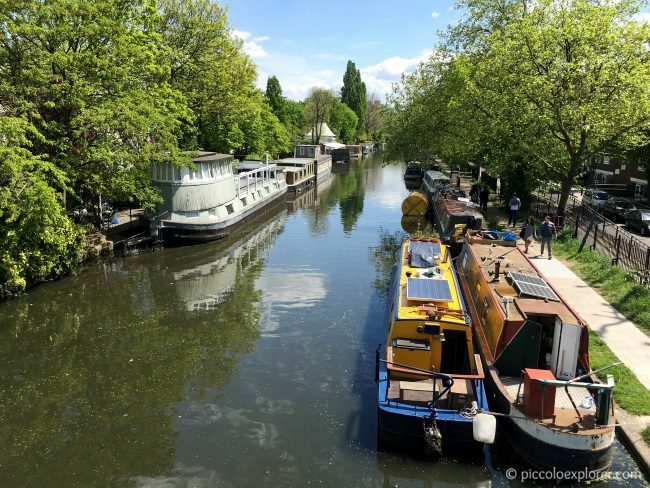 The next weekend in London we were back again near Regent’s Park with a visit to Little Venice. 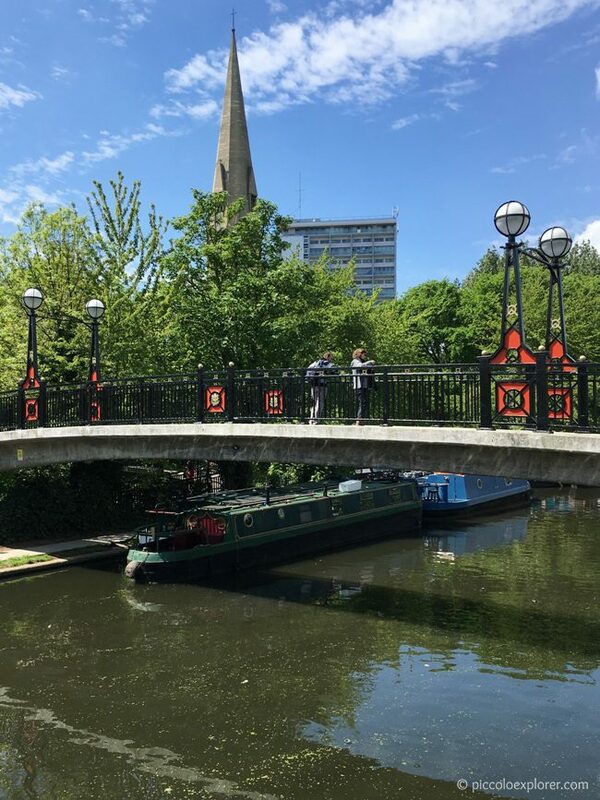 We had brunch at The Summerhouse which is the canal boat on the left side of this photo then wandered along the canal, watching the boats on what was a beautiful sunny day. Again, it’s not often we’re in North London, and it was lovely spending our Sunday exploring a unique spot of the city that’s fairly new to us. I can’t tell you how many times I’ve passed this museum and thought about how I’d love to bring Little T back there. A year and a half had passed since we were last there with friends from our NCT group, but since there are always such long queues, I had kept putting off going. But with the busy tourist season fast approaching and not wanting to wait until it quiets down again after summer, I decided to give it a try and we arrived at the museum just before 11am on a Wednesday in mid-May. We only had a 10-15 minute wait until we made it inside and it was certainly well worth coming to the museum. Little T, as expected, absolutely loved being at the museum and especially seeing the dinosaur exhibit. 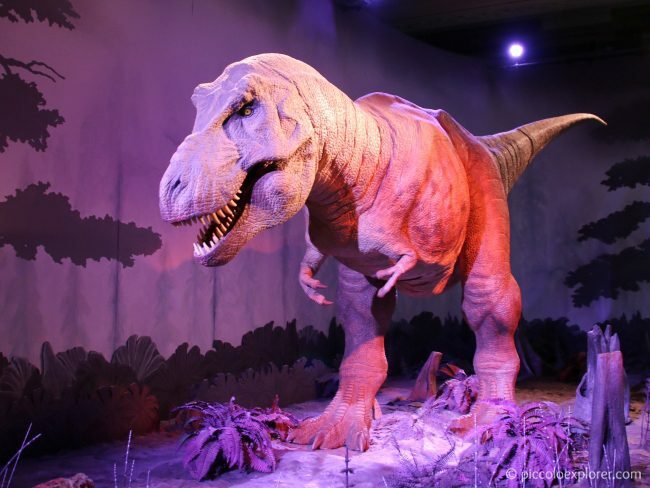 The Natural History Museum is a brilliant museum with so many great hands-on activities for young ones. We were there for about two hours and spent most of our time at the dinosaur exhibit. We’ll be back again as there is so much more to explore. 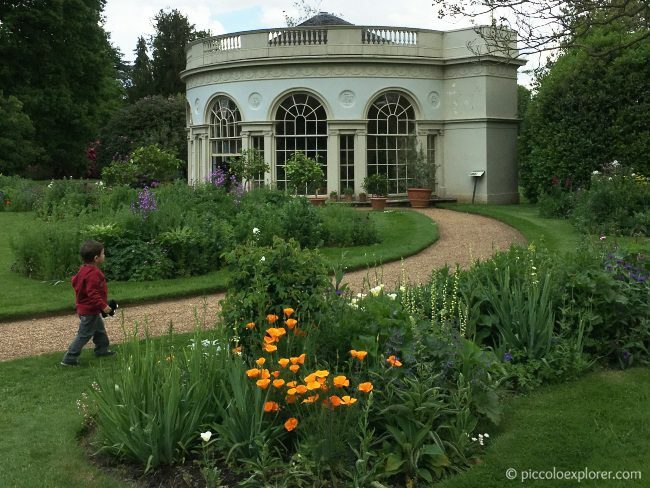 It seems our monthly recap isn’t complete without a visit to Osterley House! We had a picnic lunch then wandered around the gardens at our favorite nearby National Trust site. There was also this row of blossom trees, such beautiful bursts of color in the garden. 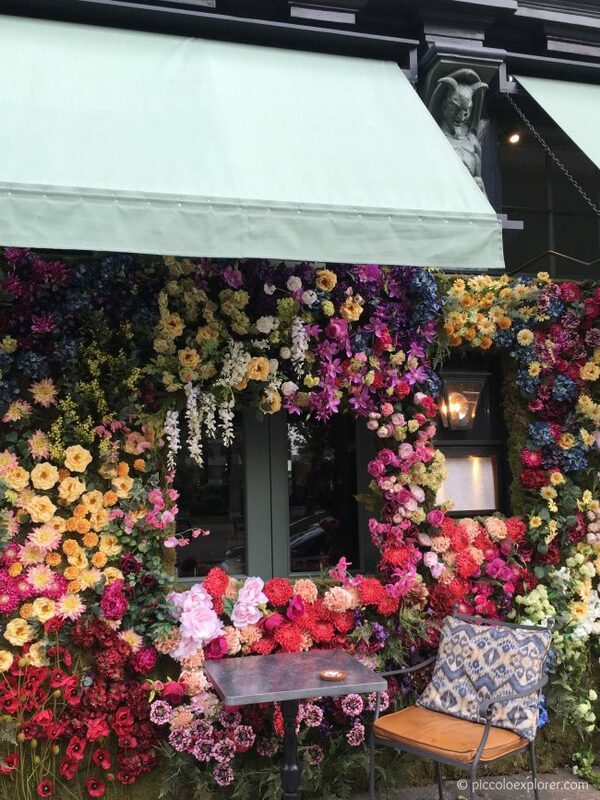 Not a day out, in fact this was a date night, but I wanted to include these photos as, first the flower wall installation the Ivy Chelsea Garden for Chelsea Flower Week was stunning! 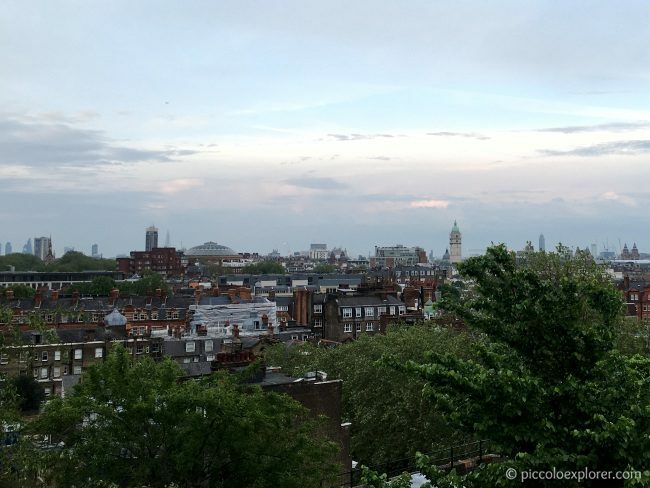 And this was a great view from Babylon, High Street Kensington, looking towards Royal Albert Hall with the City in the distance. So far, we’ve been on 21 days out and 4 overseas trips in the past five months. 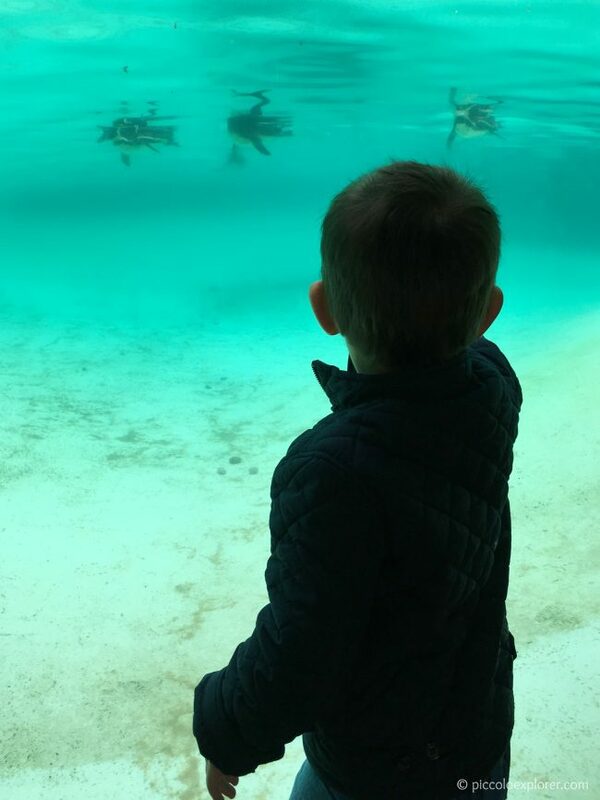 The few days out in May were to local favorites such as Osterley House and ZSL London Zoo, and a couple of new places like Birdworld and Regent’s Park. We’re halfway through the month so I can tell you already that it’s been fairly quiet so far. 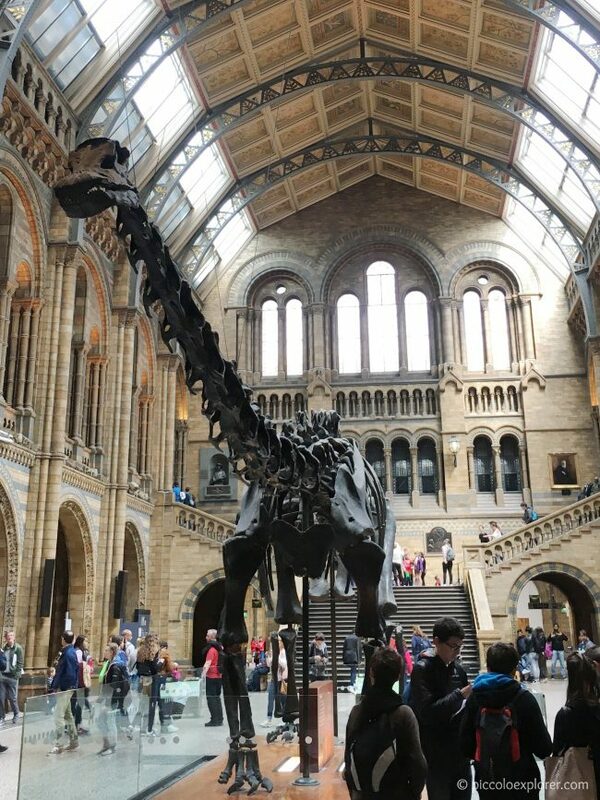 We’ve had a day out to Hobbledown in Surrey and another at the National Maritime Museum in Greenwich, and I hope to get out more in the next few days as it looks like we’ll be getting a break from the rain and some warmer weather. And finally getting out and seeing more National Trust sites! In other news, we have a trip to Bali, Indonesia, coming up at the beginning of July so most of my free time, basically when Little T is asleep, has been spent planning that trip. I can’t wait to be at the beach and exploring Bali – still a lot of planning ahead of me and less than three weeks to go!